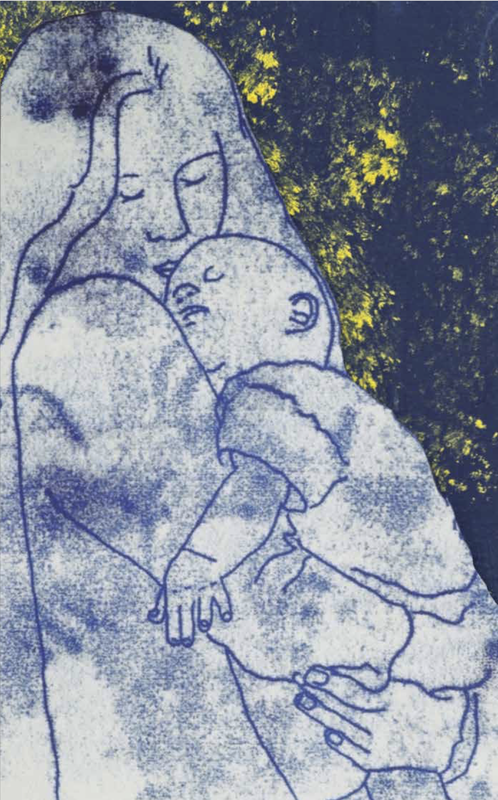 “Gift of Love is a portion from a mono print that was part of the display entitled Parent and Child, held at the Art Gallery of St. James Dundas in 2002. When creating a new background for this picture I was careful not to detract from the figures, while at the same time not indicating who they might be. They represent the love of the creator that has given us the ability to create love ourselves through our children. Rob, a printmaker, has had many shows over the years, his first in Gallery 252 at Christ’s Church Cathedral Hamilton in 1976. He has done multiple designs—certificates, banners, altar frontals, posters and bulletin covers—for individuals, Niagara Diocese and his parish church. Since retiring from the position of Visual Arts Coordinator with the Wentworth County Board of Education 25 years ago, he spends more time at his art and reading. Rob also reviews books for the Niagara Anglican.